Just a few quick reminders and a few updates. With all the news and pictures coming out regarding Alex and his upcoming projects we thought this would be a good time remind everyone about a few of our rules and guidelines. Please remember when posting article and blogs, to only post a small portion and then provide the link to the article or blog you are quoting. The same should go for if you want to quote someone from another forum. Mary Sue said that she read Alex...blah, blah, blah....check it out here....and provide the link to the forum/thread on the other site. We would also like to remind you that when you post a picture that has been newly discovered by someone or more importantly purchased by someone please provide the link to those pictures and ask their permission to repost if they have indeed purchased those pictures. We have several members of the fandom that use their own money to purchases the pictures and very generously share them with us. But most importantly please give credit where credit is due. Whether it is an article, blog, picture or just some one's own ideas or research common courtesy is expected. But most importantly please give credit where credit is due. Words to live by. Some of us take a lot of time to research information for interesting topics, as well. Thanks admins/mods. The main forum rules have also been updated to add this. Thank you for posting this important imformation. As a newbie to Boards in late September I was really unaware of many things and how they worked. I have learned a great deal since then and have the utmost respect and admiration for all of those who research, post, and sometimes additionally pay for all the information, pictures and videos that we get to see and share. 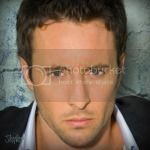 In addition it must be said that the admin/mods both here and on H50Fans (formerly TRFans) have spent a great amount of time patiently teaching me and others how to do the simple things to participate on the Boards.One of the first people I met online was MizzoH whose Alex information site I found first. With her encouragement I joined first LLOL and then felt confident enough to add TRF/H50F and then came to this wonderful site. I only learned a few months ago that some of our cherished sources were paying for pictures. That came as a shock to me because I know so little. Since I began posting here I have always had MizzoH's express permission to upload her watermarked pictures to this site and to quote her when she finds and posts articles. It was her express wish that I do it this way rather than just providing a link. Her goal is that others get to enjoy as well but RL prevents her from joining each forum herself.In communicating privately to ask her express wishes, I have learned a lot about more than just our beloved Alex and made a great friend. The kindness, consideration and generosity as well as the content that these people provide should be respected and celebrated, and not abused. I applaud the admin/mods here for taking a stand and requiring it of all of us! Thank you so much for your kind words Sky. Like you stated in your post Mizz asked you to do it this way, which is perfectly fine, as long as she is the one that provided the information you are reposting. Thank you for being such a valuable part of this site. Well said Sky. It's a pleasure having you around and I'm glad you worked up the courage to de-lurk and become a valuable member of our little fandom around the various sites. You, and your kind words, are very much appreciated. Thanks! I love it here! I forgot to add in my post that I will of course comply with the new requirements and post only a brief note and link to Mizz's pics so that consistency with everyone is achieved! With all the new pictures and information coming out, we felt it was time to bump this thread up. Please take a moment to read the first post.